On a quest for the next big thing in the food industry, sisters Danielle and Laura Kosann have begun the journey with The New Potato. Profiling chefs, restauranteurs, and celebrities alike with cuisine questionnaires, the world of dining has reached a whole new level of delish. This week, the ladies show us how to make the perfect avocado toast. It’s time for the essentials. Five years ago avocado toast may not have been an essential, but we’re pretty sure right now it’s all the rage (with no chance of it getting old, unless bread, avocado, and lemon go out of style). Nope, this one’s sticking around, and though we love that every restaurant is now featuring it on their menu (and perfecting their own spin), we think everyone should be able to perfect it in their homes as well. Maybe you’ve seen recipes for it a dozen which ways, in which case feel free to give us an eye roll, peruse a chat with Perez Hilton, or a shopping trip with Amanda Freitag to the farmer’s market. 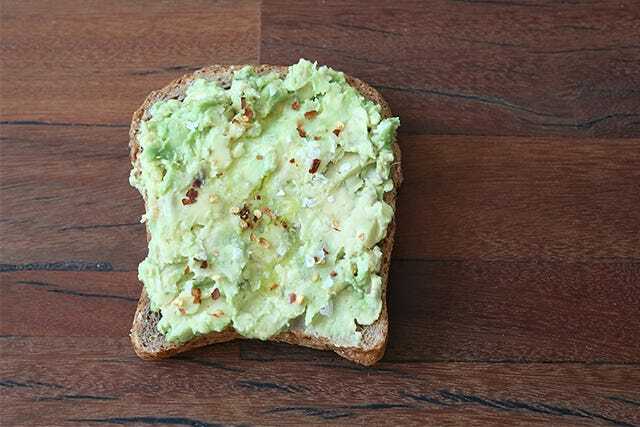 But, if you happen to be particularly lost on breakfast this morning, or you just want some eye candy at your desk, here are a few steps to (what we think) is the essential avocado toast. 1. Mash one avocado into a small bowl with a little bit of extra virgin olive oil. 2. Squeeze the juice of one lemon into the mixture, and stir well. 3. Toast your favorite bread (we like Ezekiel Sprouted Grain Bread, which can be frozen so that you always have a piece handy). 4. 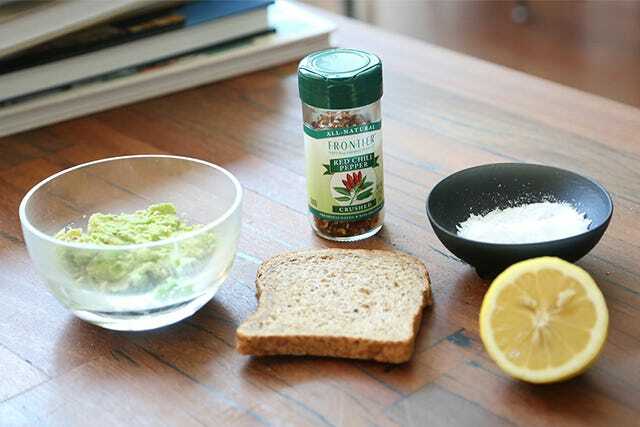 Spread the mixture onto the toast. Sprinkle with Maldon Sea Salt and red chili flakes (to your liking).